Ssharad Malhotra Tied The Knot With Ripci Bhatia! Tinaa Dattaa Freaked Out At The Cruise Launch! An amazing weekend of Indian Idol 10 promises to be a star-studded affair with talented names from the industry with Fanney Khan team dignified the stage along with the Top 14 contestants of Indian Idol 10 with the judges Neha Kakkar, Anu Malik, Vishal Dadlani and host Maniesh Paul. 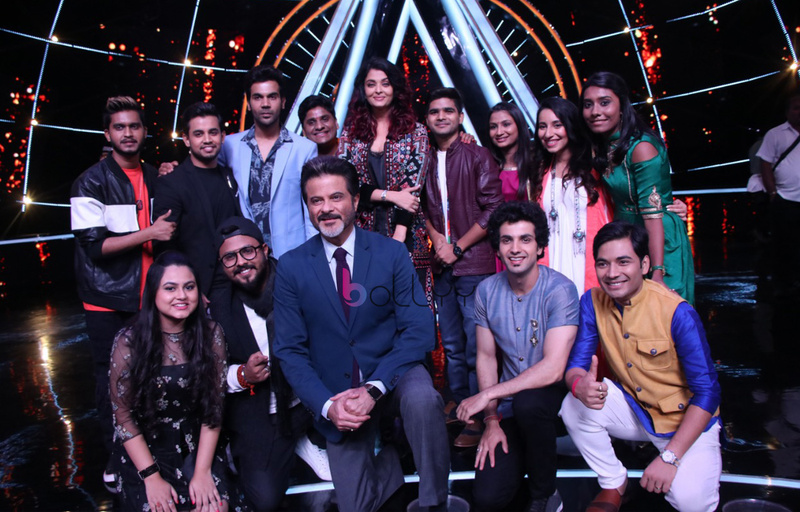 The star cast of the film young at heart Anil Kapoor, the gorgeous diva Aishwarya Rai Bachchan, dapper looking Rajkumar Rao and the talented Pihu Sand along with the Top 14 contestants set the stage ablaze with music and entertainment. Watch out for the gorgeous Aishwarya Rai Bachchan romancing with contestant Ankush Bhardwaj, Anil Kapor grooving to the tunes of My name is Lakhan with contestant Kunal Pandit and Pihu sand dancing with Anil Kapoor.